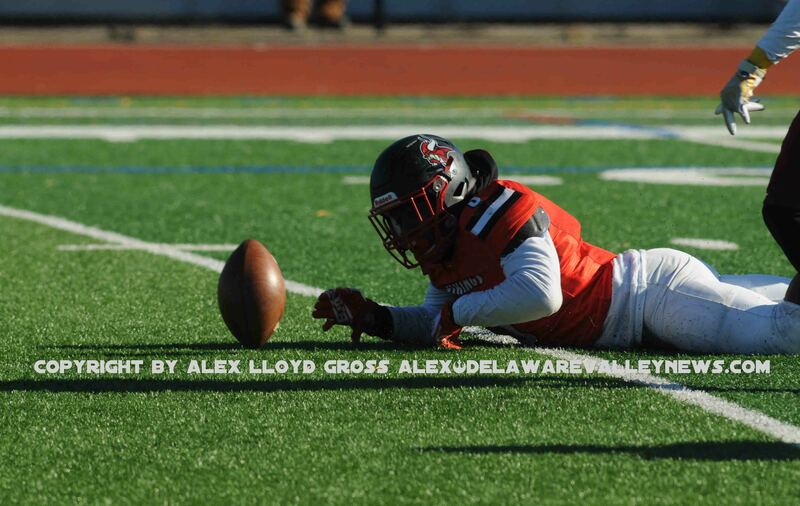 Alex Lloyd Gross- Photo- Delaware Valley News.com Northeast maintains possession of the ball. 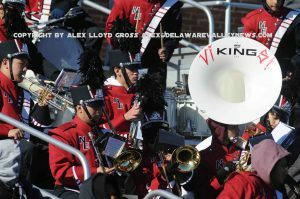 Alex Lloyd Gross- Photo- Delaware Valley News.com The Viking band keeps the fans into the game. 43-8. That’s how bad the Northeast High Vikings beat Central High Lancers during the 2018 match up.This is one of the longest running rivalry games being played in the city. With kick off at 10:30 AM, it was just getting a bit warmer temperature wise. On the field, the wind was dying down. The field is turf so it’s not as hard when the players hit it. From the start, it was clear that Northeast was dominating the game. They made the big plays and managed to convert those plays into points. The fans kept arriving even after halftime. While the bleachers were only a quarter full for each side, the people in them were vocal. The Viking band was there as well, getting the crowd pumped up and keeping them energized. Alex Lloyd Gross- Photo- Delaware Valley News.com Vikings almost fumble the ball. This win brought Northeast to 8-4 for the season. This game has been played for over 100 years. Northeast was the favorite to win. The last time Central won this game was in 2013 and the score was 6-3 and the game went into overtime. 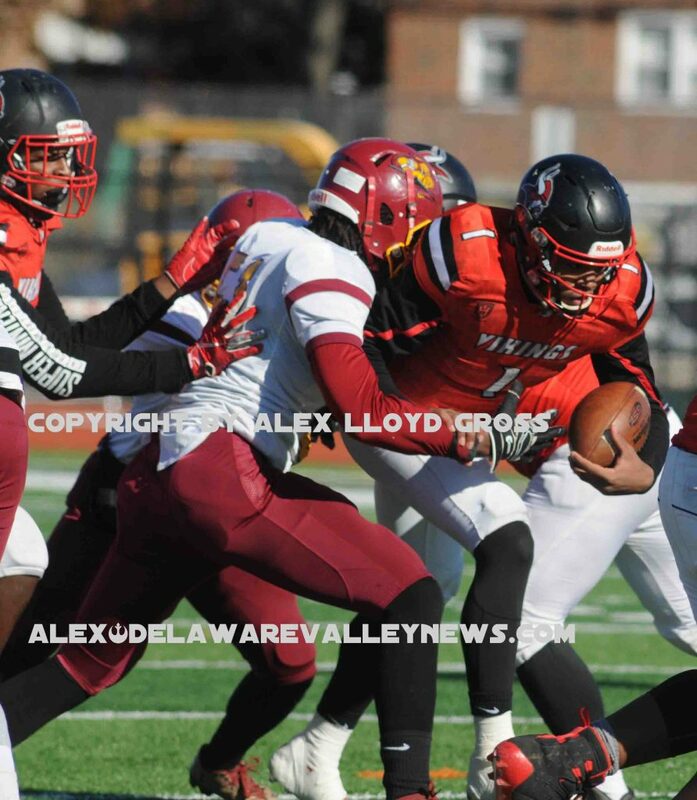 This was one of the coldest games played on Thanksgiving in recent history.